The Ostad Elahi Foundation: Ethics and Human Solidarity is a public interest foundation established by decree of the Prime Minister and Minister of the Interior on January 27th, 2000. The Foundation also holds special consultative status to the United Nations Economic and Social Council. The Council of Europe and the University of Paris 1 Panthéon-Sorbonne are statutory members of its Board of Directors, and Dr. Bahram Elahi, professor emeritus of pediatric surgery, is its founder and president. 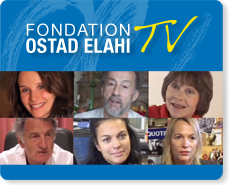 Inspired by Ostad Elahi’s (1895-1974) conception of ethics, the Foundation seeks to bring human beings together by drawing upon that which lies at the root of all solidarity: the ethical impulse that exists within each of us. From the Foundation’s perspective, the key to such rapprochement is found in a personal practice of ethics coupled with a better understanding of what constitutes our humanity, especially the universal principles that govern our spiritual dimension. Such an approach to ethics and solidarity raises a number of questions: what mechanisms allow for a better understanding and acceptance of others? What are the characteristics of a genuine ethical practice and how can they be learned? What are its individual and collective effects, and how can they be assessed? If every person is both judge and guardian of his or her own ethics, what inner force can ensure its effective and long-term implementation? How can a reference to the divine be expressed within the framework of ethics, and how can it fulfill the requirements of rationality? More generally, which of the values conveyed by the humanistic and spiritual traditions can we coalesce around? The Foundation organizes an array of programs to further advance the discussion of these questions: conferences, seminars, group discussions, research projects, didactic modules, publications, etc. In doing so, it draws upon philosophy, psychology, sociology, the history of comparative religion and mysticism, law, and educational studies, as well as the cognitive sciences and medicine. It is in this spirit that the Foundation collaborates with other national and international public institutions. With an approach that is at once secular and intercultural, the Foundation seeks to create a space for reflection and exchanges aimed at fostering a renewed investment in ethical and spiritual questions that constitute the foundation of any society. When ethics is practiced out of a sense of humanity, it ennobles the spirit and enables the natural and progressive emergence of genuine solidarity among human beings. Two factors promote the implementation and deepening of such ethics over time: on the one hand, the awareness that human life continues after our physical death—an assumption that is now the subject of serious scientific investigation—and that one’s quality of life depends on the degree to which one has assimilated universal divine and ethical principles; on the other hand, the development of a personal relationship with the “divine,” conceived as “a truth whose imprint lies within every person,” which promotes the assimilation of ethical principles. Such an ethical practice is the cornerstone of a “natural” spirituality, meaning one that is adapted to the nature of the human spirit and capable of gradually leading human beings toward their perfection.